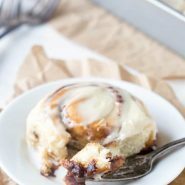 Easy cinnamon rolls are a made-from-scratch soft cinnamon roll recipe that’s ready in just one hour! 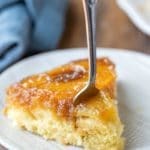 Great for breakfast or for dessert. Published 6/26/17. Updated with new photos and tips 3/7/19. 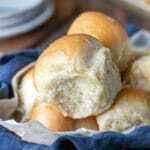 I love quick and easy yeast recipes! Over the past few years, I’ve come up with several roll, pretzel, and knot recipes that can all be made from scratch in an hour or less. I’ve made several versions of one hour cinnamon rolls over the years, but this recipe is my favorite. I adapted the dough from my 60 minute roll recipe. It makes for a nice, soft roll. Then, I added a cinnamon sugar filling that has plenty of both cinnamon and sugar. It’s more crumbly than a normal cinnamon roll filling, but it makes for a roll with plenty of gooey filling. Then, I topped the rolls with a thick cream cheese frosting. The frosting isn’t too sweet so that it balances nicely with the gooey cinnamon rolls. 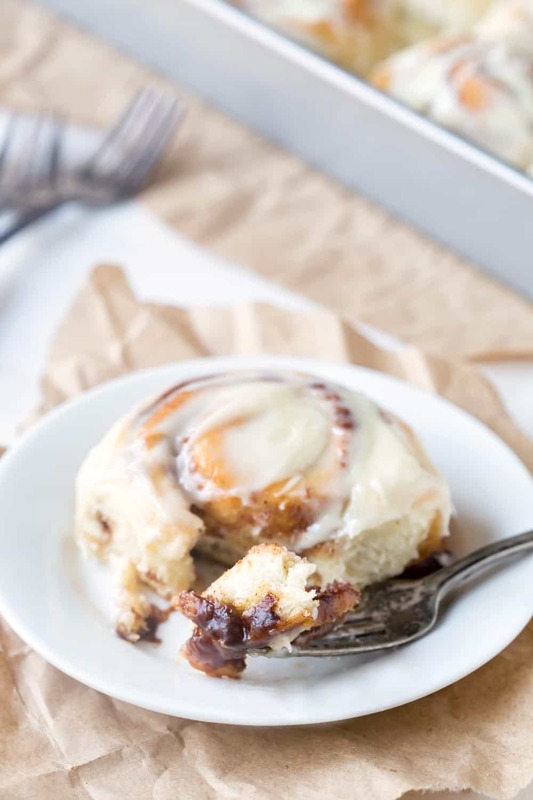 These one hour cinnamon rolls are the perfect thing to make any time that the craving strikes, but you don’t want to spend all day waiting for cinnamon rolls to rise. 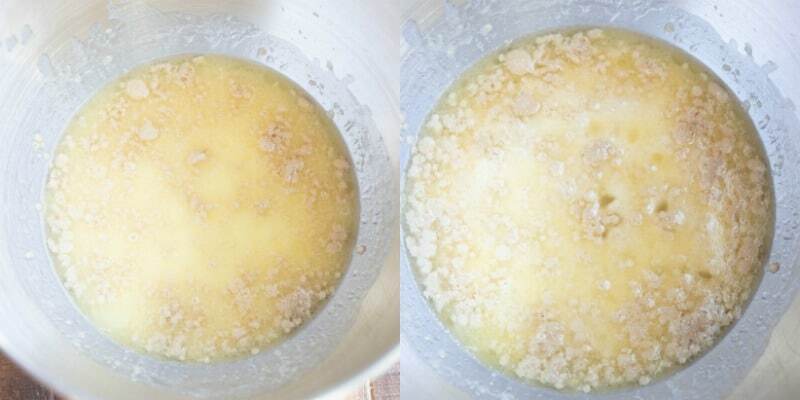 Heat the milk, sugar, and butter in a saucepan until the butter melts. Let the mixture cool to 100-105F. Pour the milk mixture, yeast, and warm water into the bowl of a large mixing bowl. If using instant yeast, continue with the recipe. If using active dry yeast, let the yeast sit for 5-10 minutes, or until foamy. Add 2 cups of the flour and salt. Continue adding flour until the dough clears the side of the bowl. Cover the dough and let rise for 10 minutes. 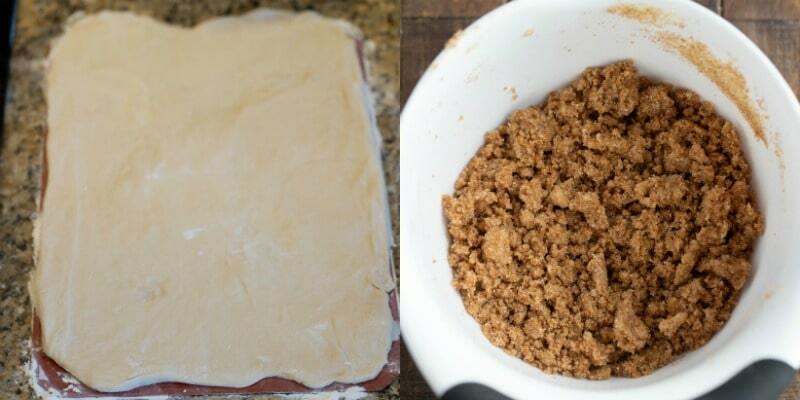 Roll out dough into a 12×16-inch rectangle. Spread the filling over the dough, and then roll up lengthwise, pinching the seam. 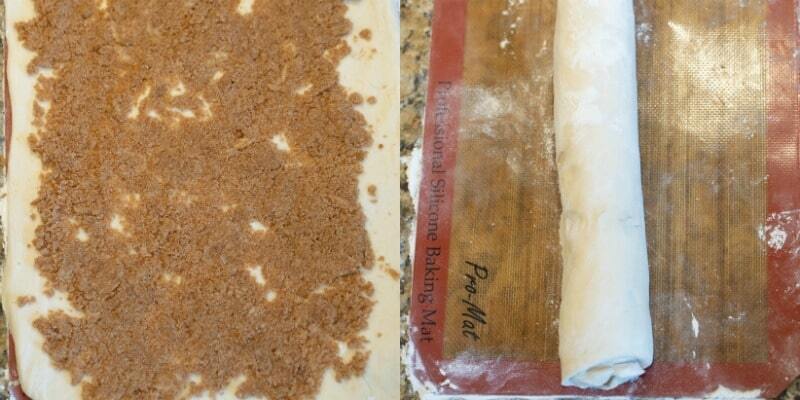 Slice cinnamon roll dough with a serrated knife and place in the prepared pan. Add the powdered sugar and vanilla. Mix in until combined. Let the baked cinnamon rolls cool in the pan for 5 minutes, and then spread the frosting over the warm cinnamon rolls. Can I let these cinnamon rolls rise longer? These cinnamon rolls were meant to be made in a shorter time with shorter rising times. 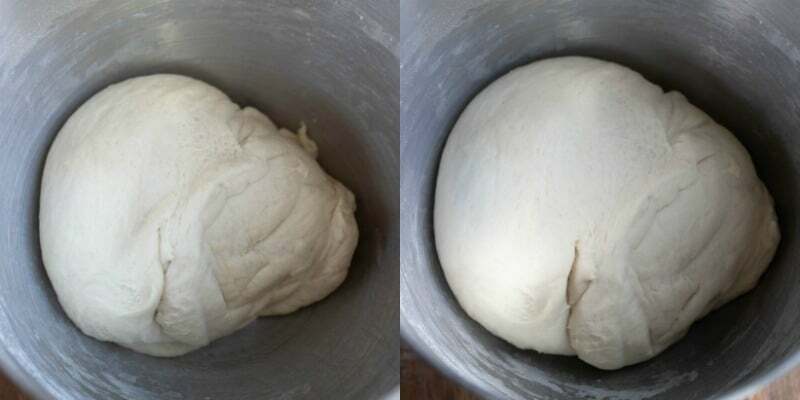 Letting the dough rise longer can lead to an over-risen dough. How long do these cinnamon rolls keep? They are best eaten in the first 2 days. 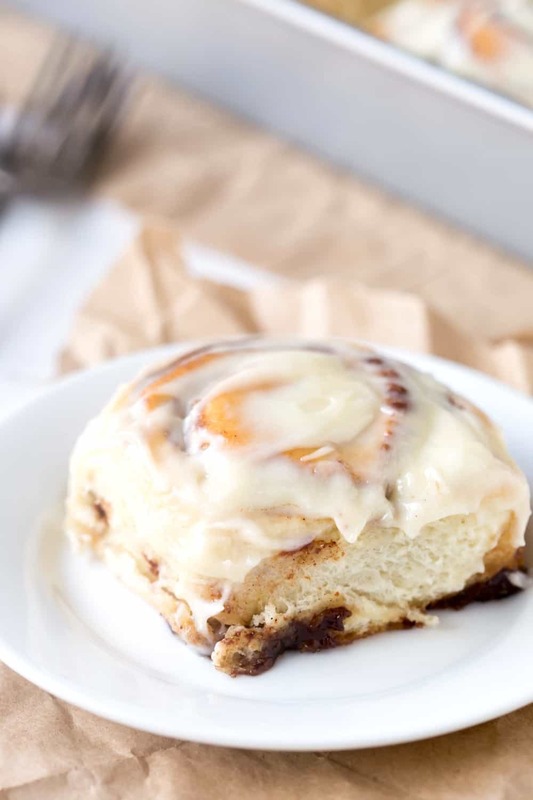 If you’ve tried this easy cinnamon roll recipe, don’t forget to rate the recipe and leave me a comment below. I love to hear from people who’ve made my recipes! You can SUBSCRIBE to receive my latest recipe newsletters or FOLLOW ME on FACEBOOK, INSTAGRAM and PINTEREST for even more delicious food. 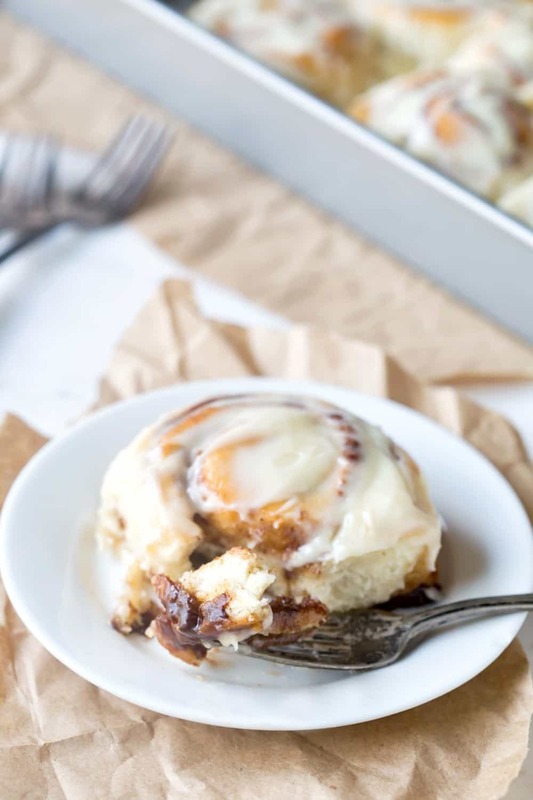 Homemade cinnamon rolls that are ready in just 1 hour! In a small saucepan, stir milk, sugar, and butter together. Heat over low heat just until butter melts and sugar dissolves. Cool to about 100-105 F.
Add the yeast and warm water. Stir filling ingredients together, and spread over dough. Since the filling is a little crumbly, I gently press it into the dough to help it stick. Roll up lengthwise, pinching seam to seal. Bake at 20-25 minutes, or until the rolls are golden brown. 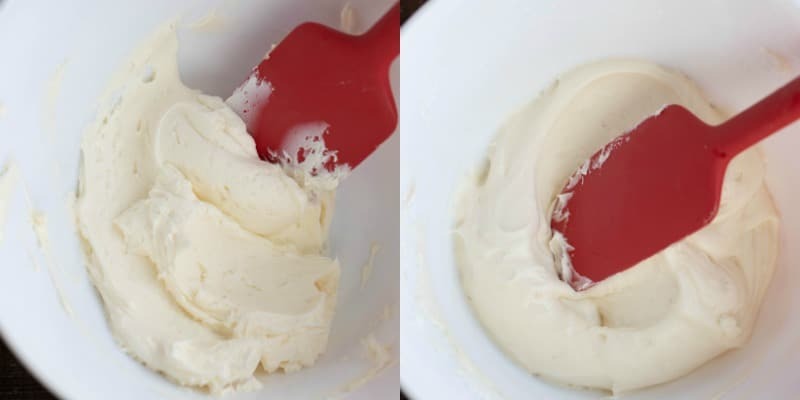 Beat butter and cream cheese together until combined. On low, mix in powdered sugar and vanilla until well-combined. 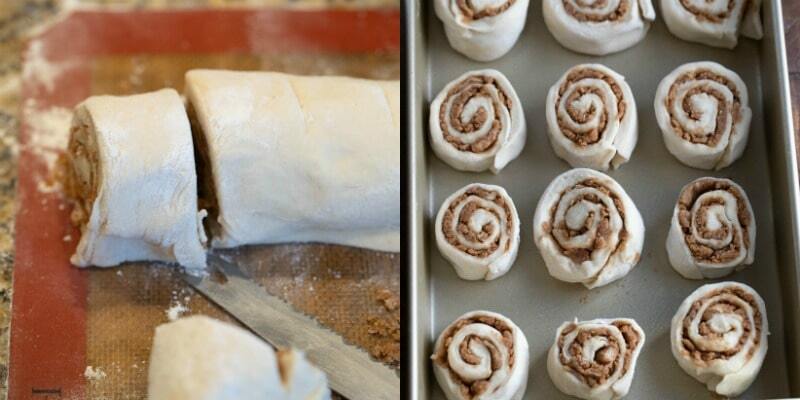 Let the cinnamon rolls cool for 5 minutes, and then spread frosting over warm cinnamon rolls. Cinnamon rolls and sticky buns are sure very tasty for traditional breakfasts. What a pity, that we can not afford to eat them every day without feeling guilty. Thank you very much for a very good recipe. Thank you! I’m glad that you liked it. =) Thanks for commenting! Please start adding the name of the recipe and your site to the pics of your recipes so I’ll know it’s your recipe I’m making and not someone else’s. Thanks!! Hi! Are you concerned when you’re looking through my site or a different site (like Pinterest)? When you’re on I Heart Eating, all of the recipes and photos are mine. 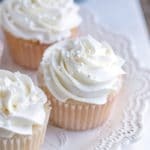 I have made every single recipe and taken every single photo on the site. =) Almost every recipe has a photo with the title of the recipe. I have 600+ recipes, and there are a few that I’ve missed. However, if you ever have any questions about the recipe while on my site, please let me know, and I’ll be happy to answer those questions. Some of the best cinnamon rolls I’ve had! This recipe is very easy to follow, and the cinnamon buns are delicious. Thank you for the recipe!